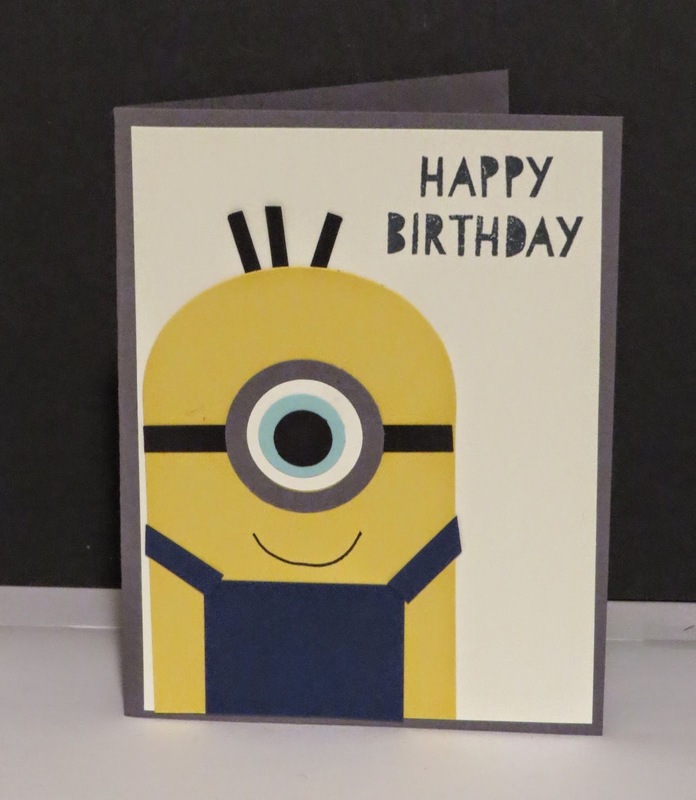 Karina's Kreations: Minion Stampin'Up Card! I'm doing a kid's stamp camp at a school and I promised the kids we could make a minion card. The card idea came from Pinterest. I used the Age Awareness Stamp Set #135381 for the greeting and the Party Pennants Bigz L Die #133732 for the Minion body. Buy the supplies to make this card and earn a Sale-a-bration item for FREE! This is so stinking cute! They will love it.